For over a decade, Sam Dargan has been committed to improving healthcare in Rwanda by providing reliable energy to those in need. His passion grew as a result of witnessing the poor conditions of the hospital in which he worked in rural, northern Rwanda. The hospital was off-grid and the operating budget did not allow for more than a few hours of generator usage per day, severely restricting the level of healthcare that could be delivered. Over the next three years, Dargan focused his efforts on analyzing the hospital’s energy demands and the ability of solar power to meet those demands. Using this knowledge and experience, in 2005 Dargan founded and became CEO of Great Lakes Energy. As CEO, Dargan has overseen the successful completion of over 80 solar power projects. Today Great Lakes Energy is a recognized leader in off-grid solar in Africa, specifically as it relates to healthcare. Great Lakes Energy has adopted as its mission the challenge of revolutionizing healthcare solar energy systems through the use of new battery technology, remote monitoring and software that will ensure continual access to clean, reliable energy. Reliable energy is the bedrock of the lifesaving services healthcare providers must provide. Reliable electricity allows lives to be saved. Early pioneer of the off-grid home market, in 2009 built largest solar home product distribution network in Africa. 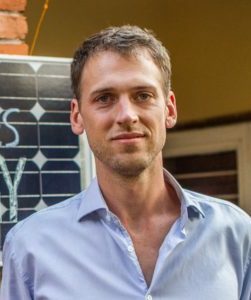 Board member of Energy Private Developers, elected representative of Solar sub-Group. Managing Director, Ignite Power Rwanda, December 2017 to date. Ignite Power is Rwanda’s largest PAYGO off-grid company, with over 70,000 clients and 500 staff.